There have been a number of products the last few winters that seem to be growing in popularity. One of the many highlights of being a ski instructor is observing trends in the skiing industry: the popularity of people wearing helmets on the mountain continues. 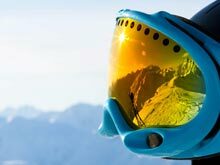 We are seeing more and more of those movie cameras (GoPros seem to be the most popular) stuck on top of helmets, attached to chests or even on the end of ski poles. But there has been something else that's been steadily growing in numbers the last few years. 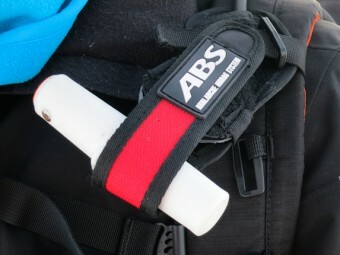 ABS Avalanche Airbags. If you are a beginner then this article may not mean much to you, but feel free to continue reading. If you are an intermediate skier, then you may have seen these specialist rucksacks on the mountain. If you are an advanced skier then I suspect you have come across this type of kit and may well be wondering whether to invest in one or not. So what are ABS Avalanche Airbags? These are no ordinary rucksacks. 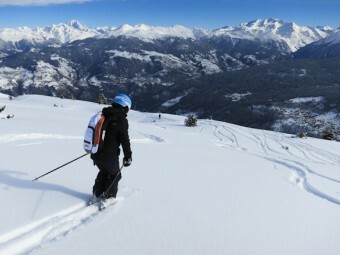 They are designed for those skiers who enjoy skiing off-piste. 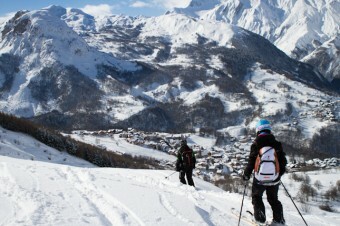 These skiers should always carry rucksacks that house avalanche safety equipment, amongst other things. A few years ago several companies started to design, and have since perfected, a safety mechanism that is similar to air bag designs in cars, with a difference. If an off-piste skier wearing one of these Airbags gets caught in an avalanche, they can release a trigger which quickly deploys gas to the airbags normally located at the side of the rucksack; however some manufacturers also place the airbags around and behind the skiers head. Unlike in cars, these gas filled airbags stay inflated. This in theory means the skier stays on the surface of the avalanche whilst it is rushing down the mountain, instead of being dragged under the sliding mass which increases the risk of suffocation. There is an image for you, a skier floundering around on the surface of a slide wearing a deployed ABS bag, instead of a skier who has a higher risk of suffocation without said equipment. So does this means skiing with an ABS Avalanche Airbag mean you can ski slightly more risky off-piste pitches than those who aren't wearing one? Are you kidding. No way. I may be getting a bit heavy here but sadly there are different potential outcomes of being caught in an avalanche slide: Suffocation - this is where ABS bags can help reduce as explained above. Cardiac Arrest - Again could be affected by being buried under just the surface of a slide compared to a few metres, but not necessarily eliminate. Trauma - This is another unpleasant possibility where any trauma to the head, core organs, spine or even limbs can prove critical. I don't wish to be sounding negative here, but if a skier is caught in a significant slide, the odds are still against them. So what are the pros and cons of such rucksacks. Let's look at the pros first. Yes you do stand a better chance of survival if you are caught in an avalanche slide wearing one as long as you deploy the trigger. It's a percentage game if you like, or marginal gains as some people call it. The cons: These rucksacks are heavier than normal due to the amount of extra material and gas cyclinder involved in the design. This shouldn't make much difference if it's just a day trip however. They can be a little cumbersome to wear, especially if you are getting on and off chairlifts, being careful to not accidently pull the trigger. However the latest designs of the last few years are much better and more user friendly. Another con is the cost of these bags, they are frighteningly expensive, costing up to four times as much as normal skiing rucksacks. 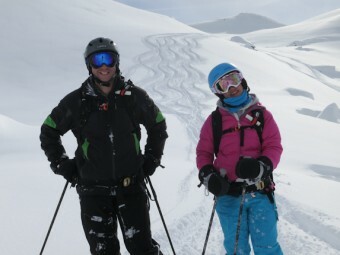 This blog post is not intended to provide an opinion on whether off-piste skiers should or shouldn't use this kit. 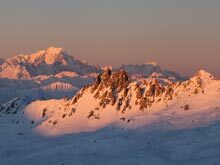 There are many 'High Mountain Guides' who use them, and some who don't. I have several ski instructor friends who own these bags, and some who don't. In fact one very experienced off piste ski instructor I work with sometimes, is very anti them. Just like everything in life, it is a completely personal decision. Do I own one of these bags? For the record, yes I do, and yes I wear it. However the decision to have one or not was made for me, it was a very generous gift given to me by clients, who are also very good friends. I think the most important point to make is that any decision about whether to ski off piste or not on a given day should never, ever, be influenced by wearing these ABS Airbags. 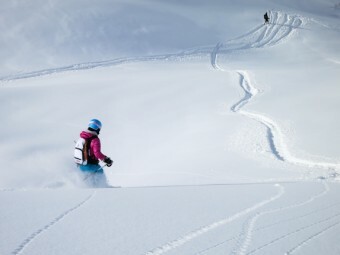 Whether to ski a certain powder field should also never, ever, be influenced by these bags. 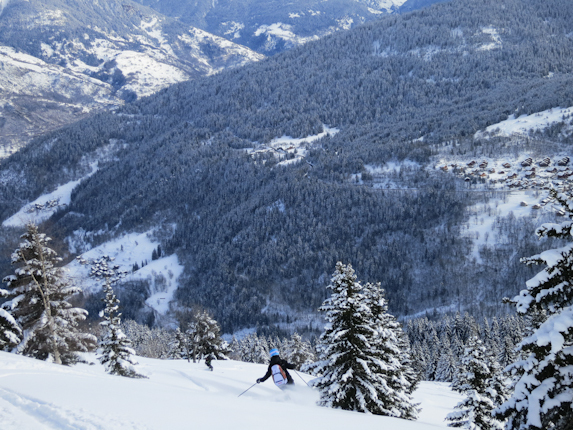 Normal off piste skiing protocol should always be followed in all decision making. I've only mentioned one manufacturer of these bags on this post, there are others available on sale for example Snowpulse, BCA, Mammut amongst others. This whole subject generates a huge amount of debate on various forums and websites, so do investigate further. It will be interesting to see what new trends develop this coming winter. After all, we are only just over three months away from the start of another season. 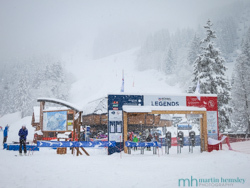 If you enjoyed this article, you might be interested in reading about a fun week I had skiing with Gilly and John, see A Spring Surprise. Please feel to share away on Facebook, Twitter and Goggle+ by clicking on the social media buttons. Or even leave a comment below, it's easy to do. Have a great week everybody. Martin.